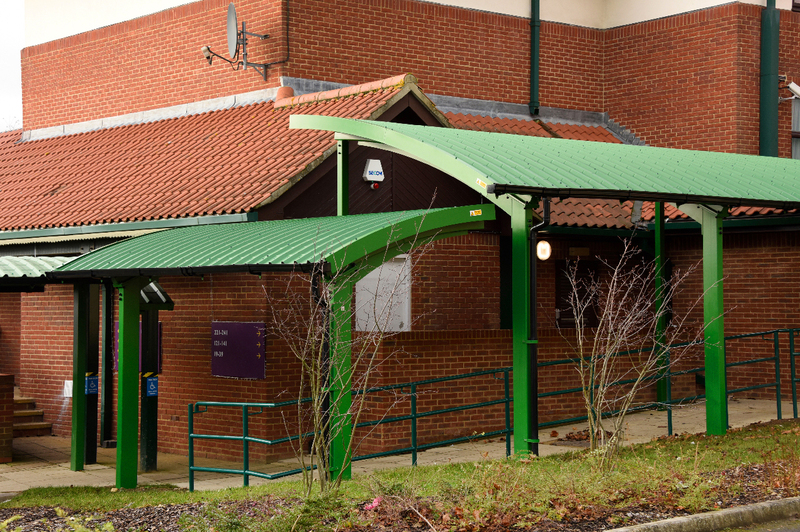 Broxap were asked by R. G. Carter Projects Ltd. to propose a solution for the extension built at the Oxford Premier Inn. 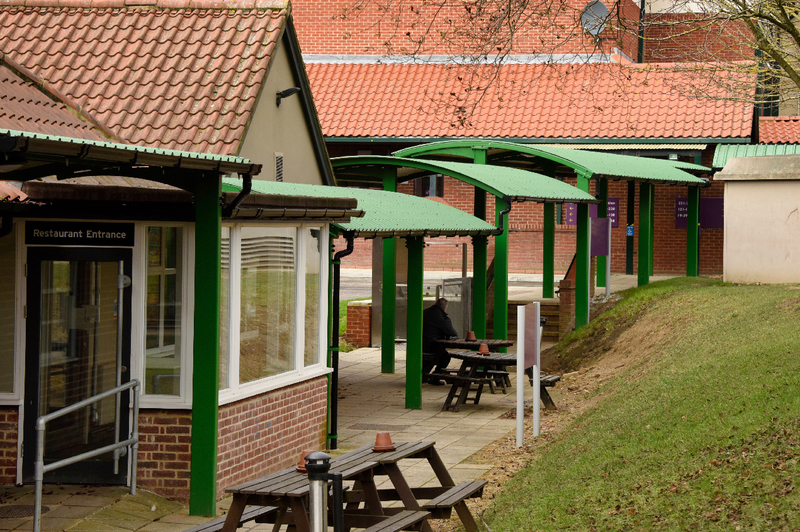 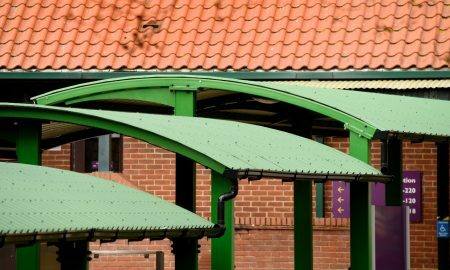 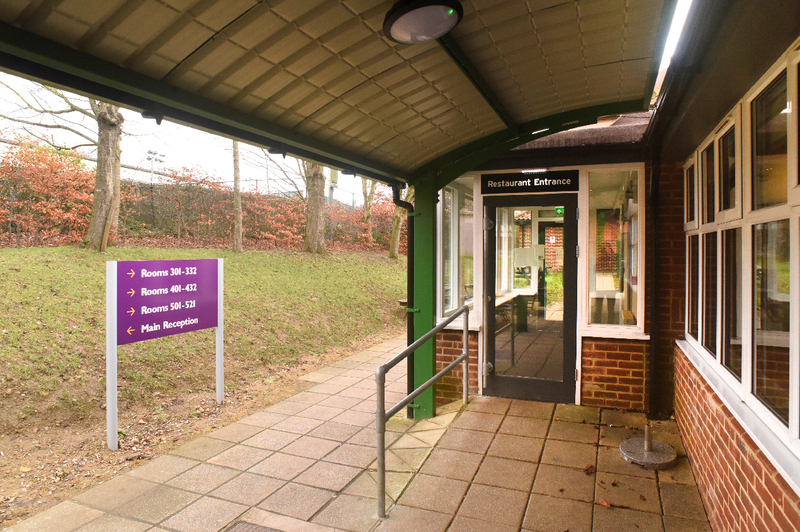 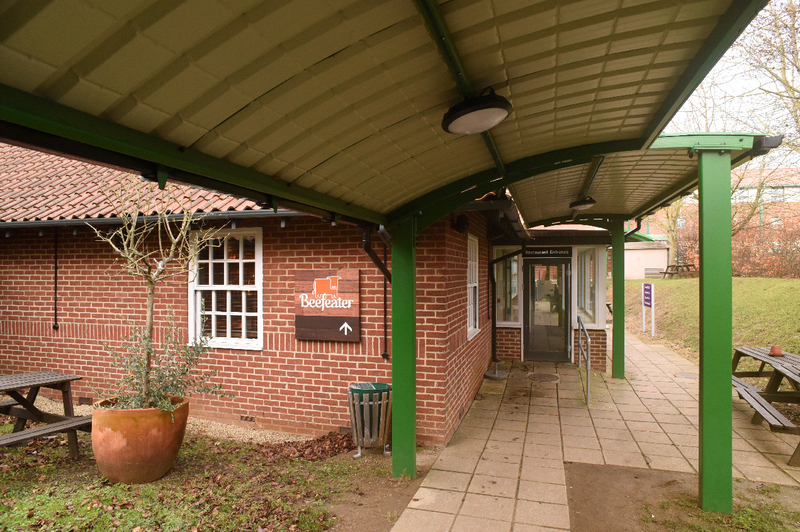 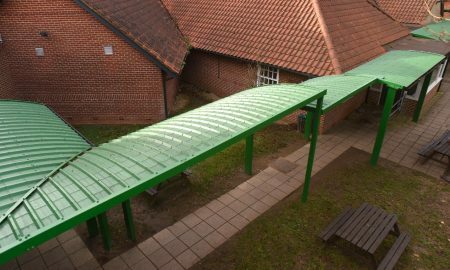 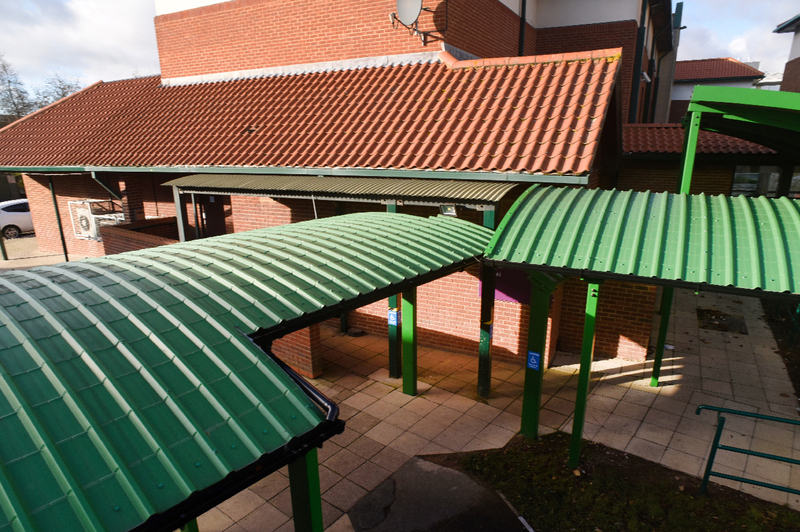 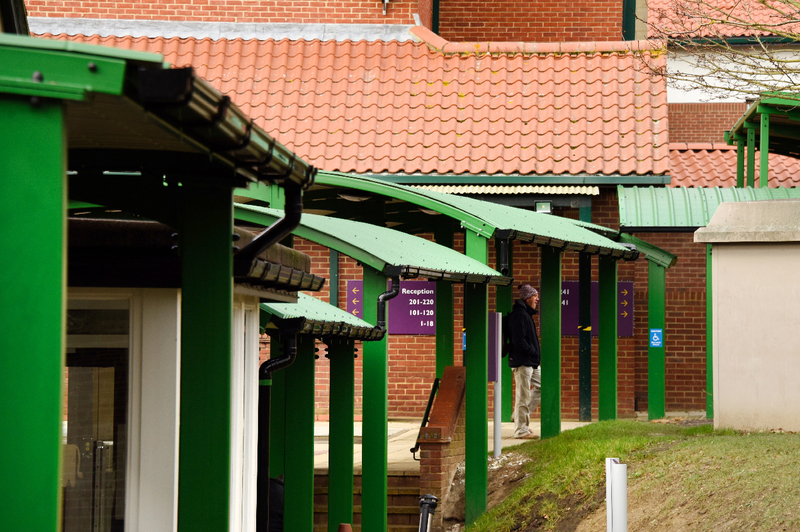 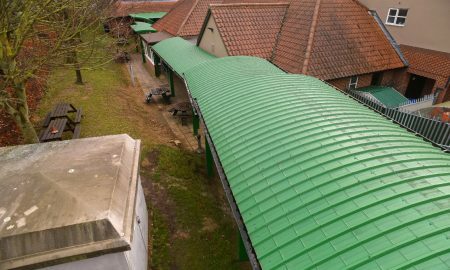 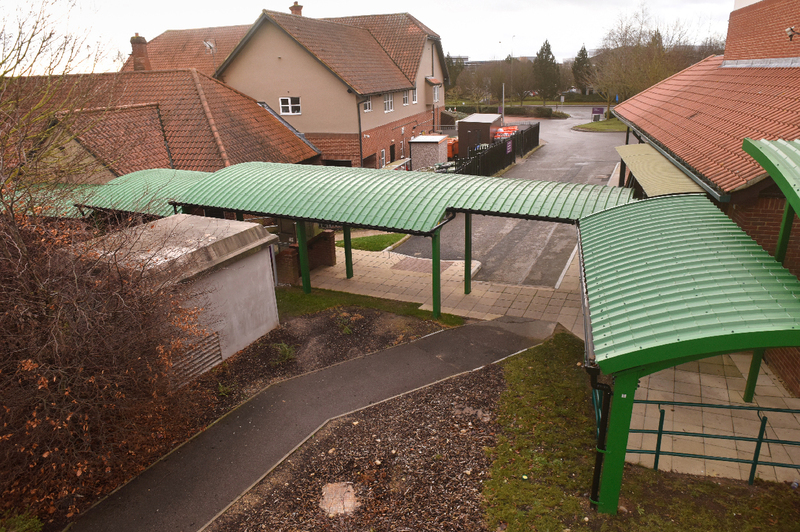 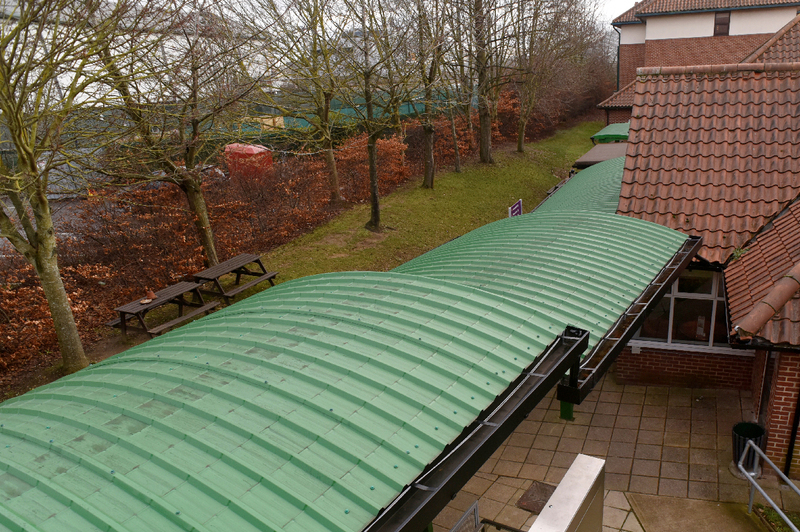 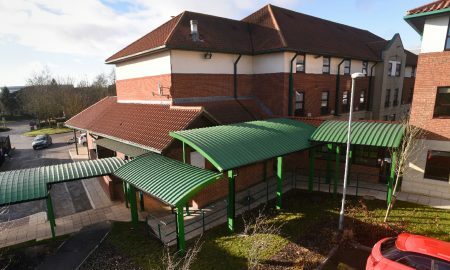 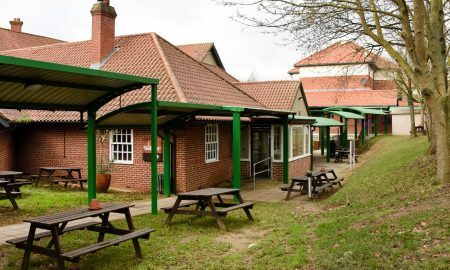 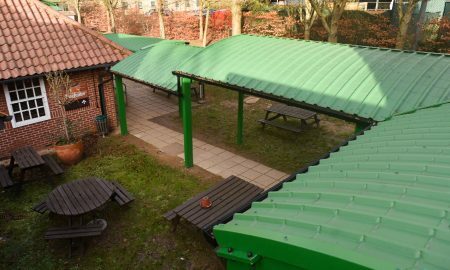 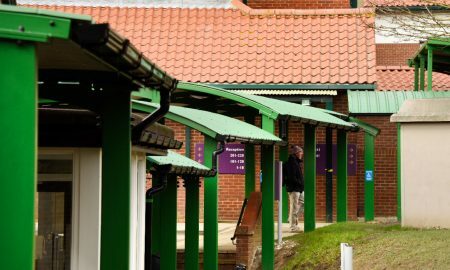 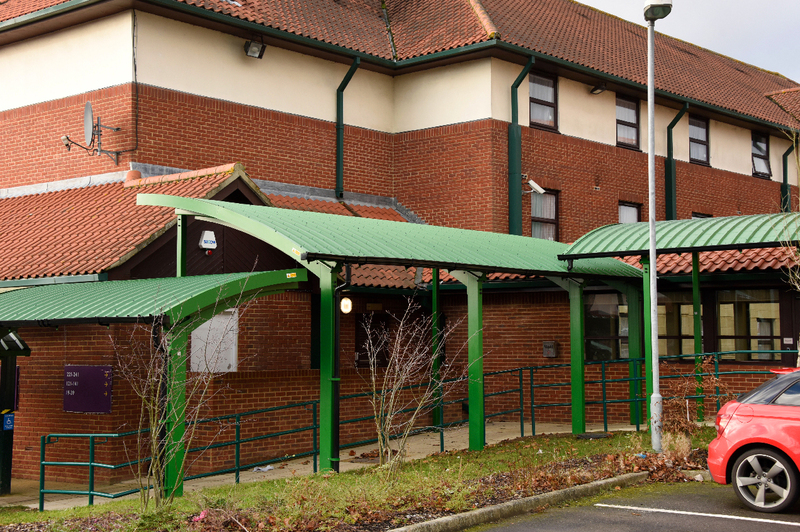 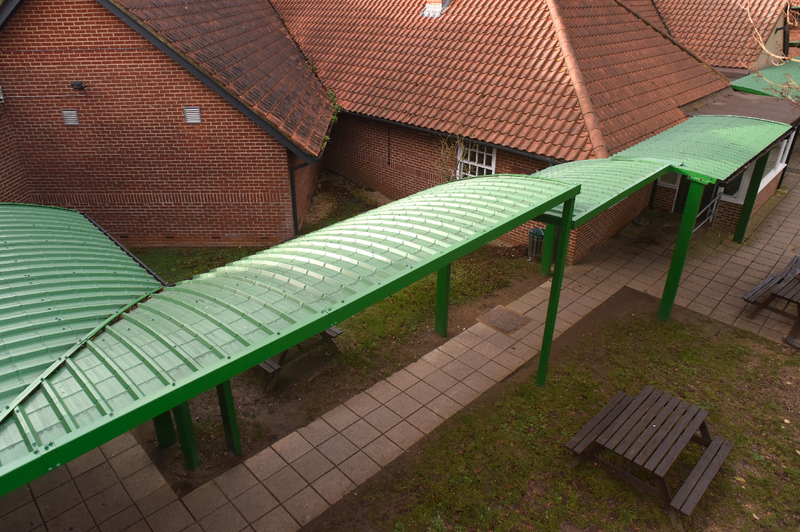 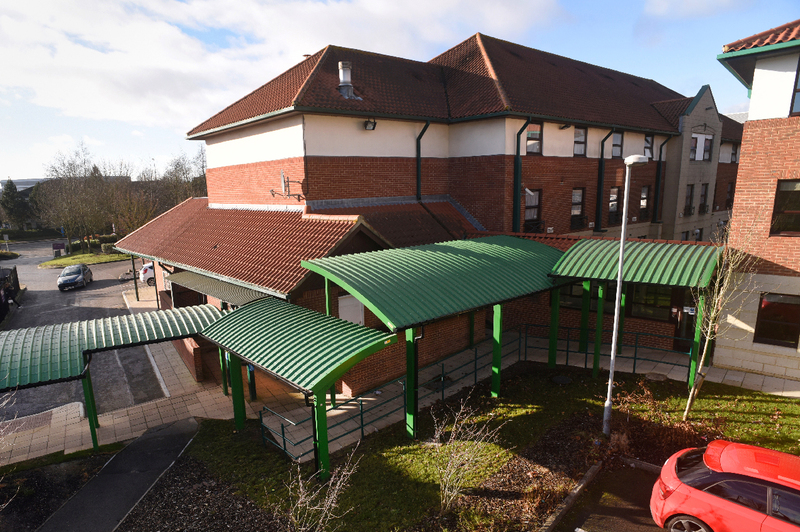 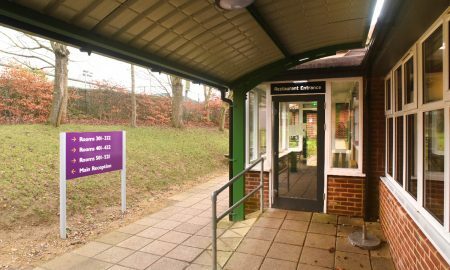 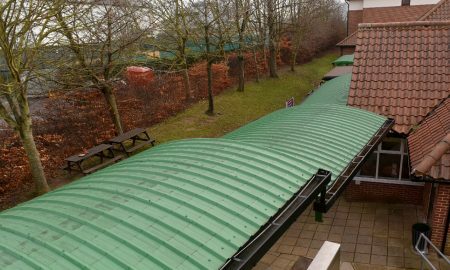 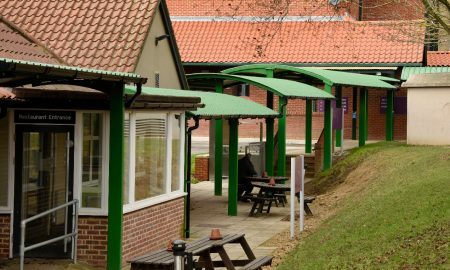 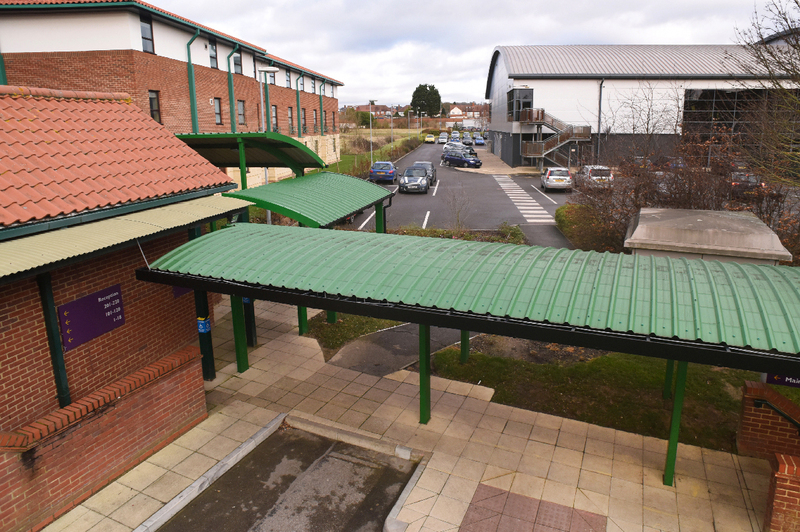 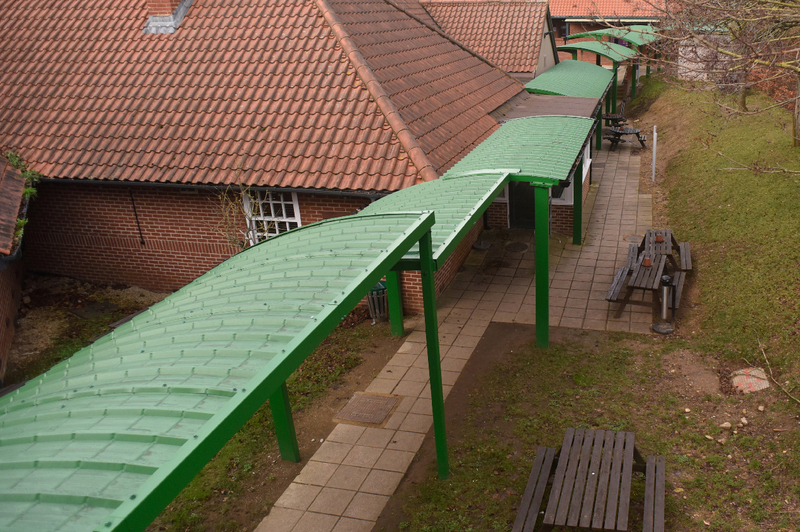 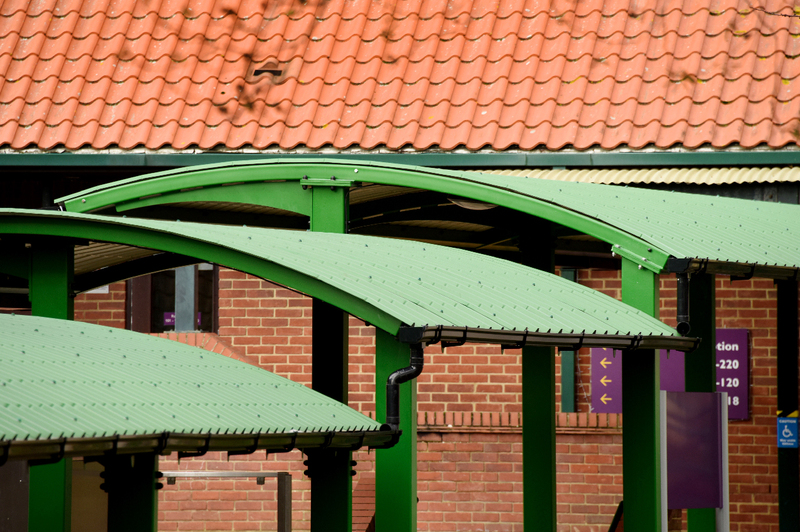 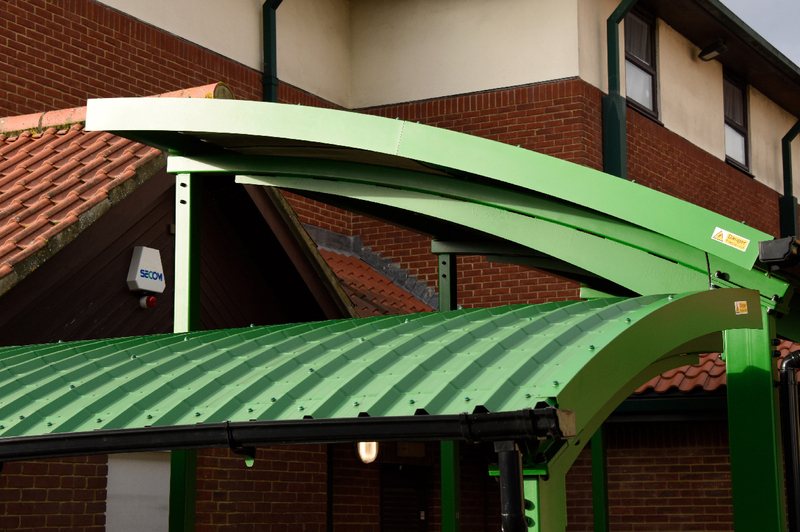 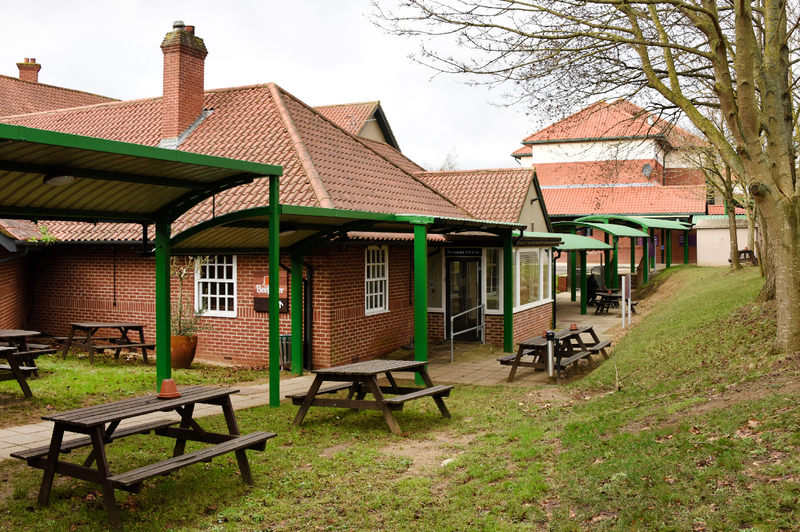 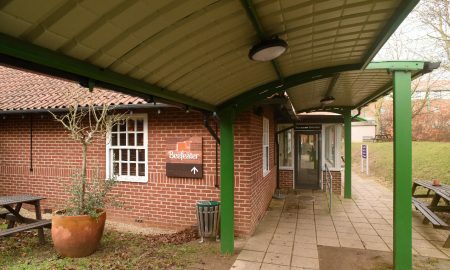 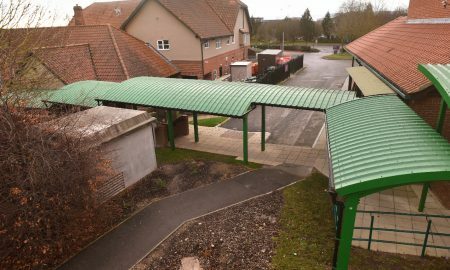 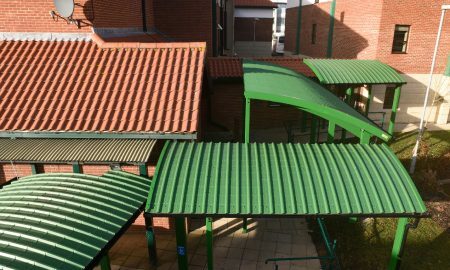 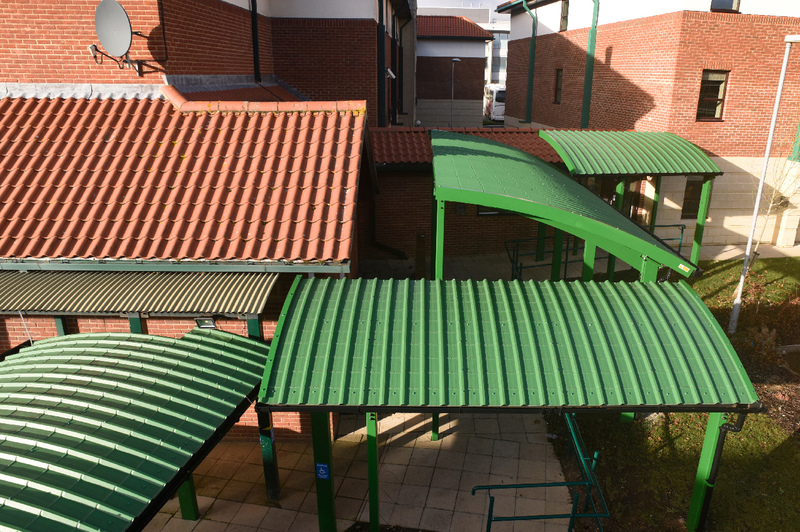 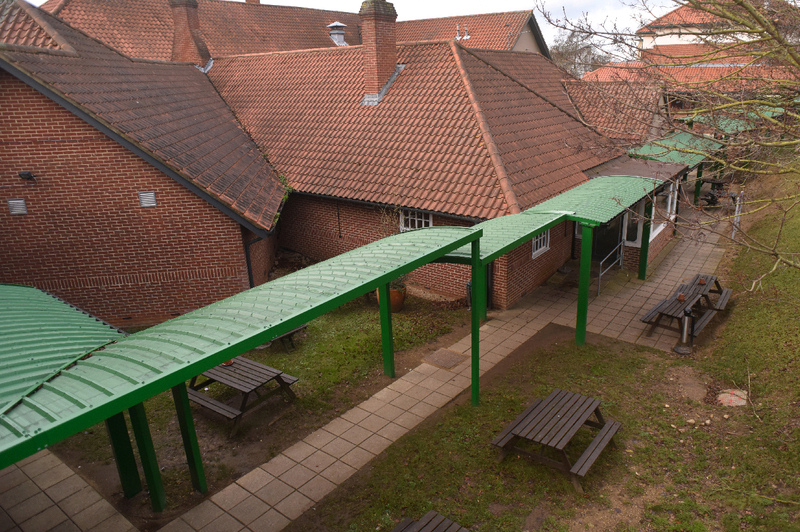 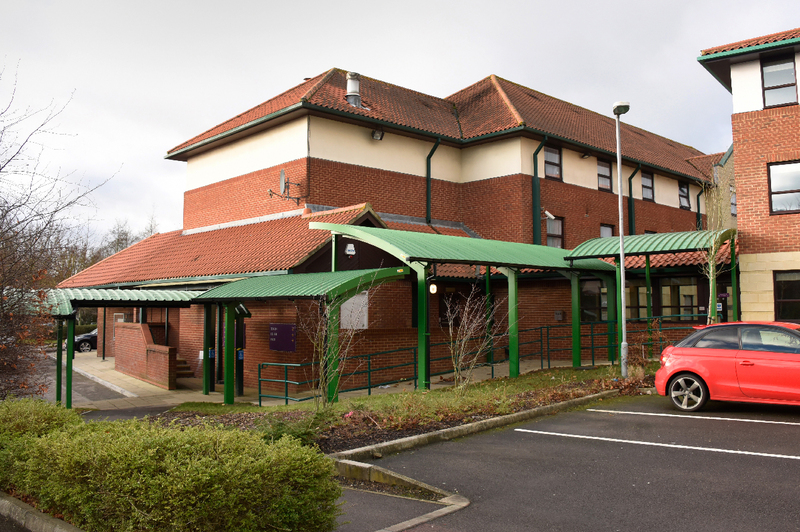 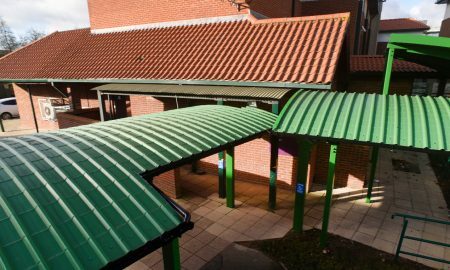 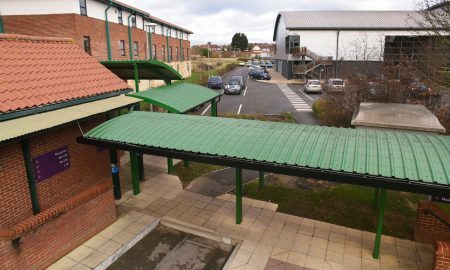 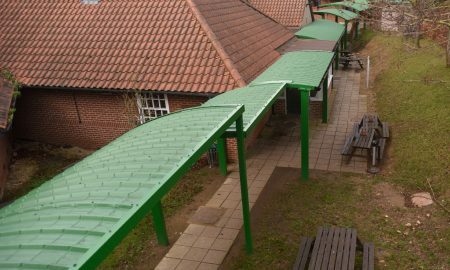 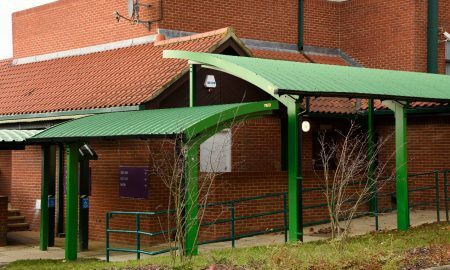 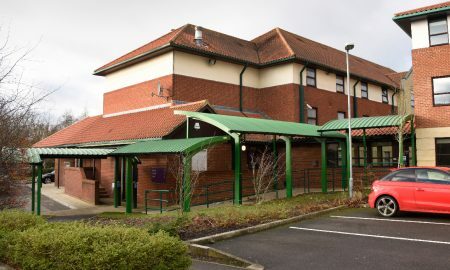 A series of canopies and covered walkways were required to allow clients to traverse from the rooms at the extension and carparks to the main building free from bad weather. 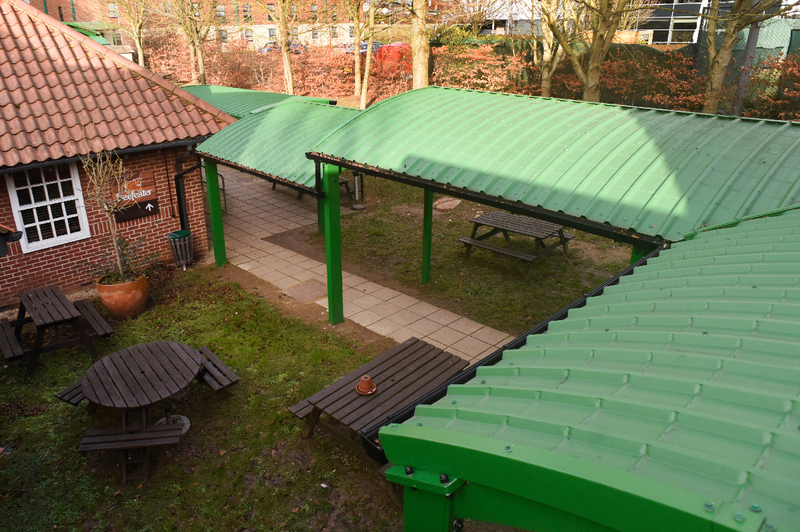 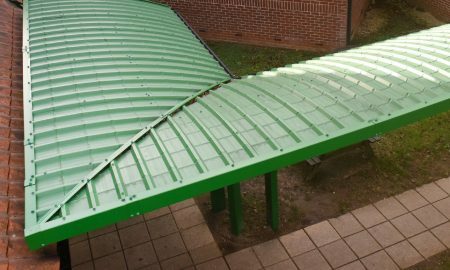 Broxap suggested a version of the Asymmetric Newcastle that would be clad with HPS Colorcoat in a green sympathetic to the surroundings and flow of the buildings. 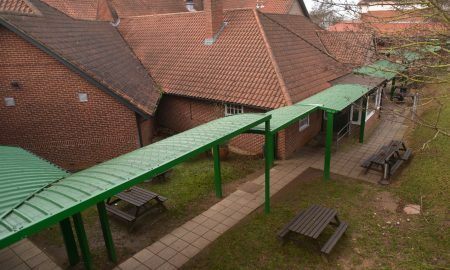 Rainwater is collected at the edge and fed through guttering to downpipes and into existing drainage or natural soakaways. 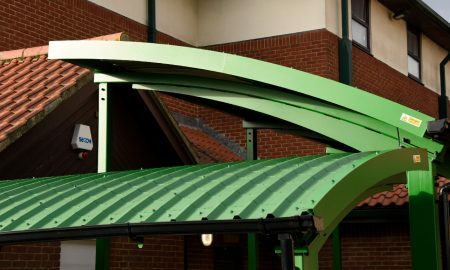 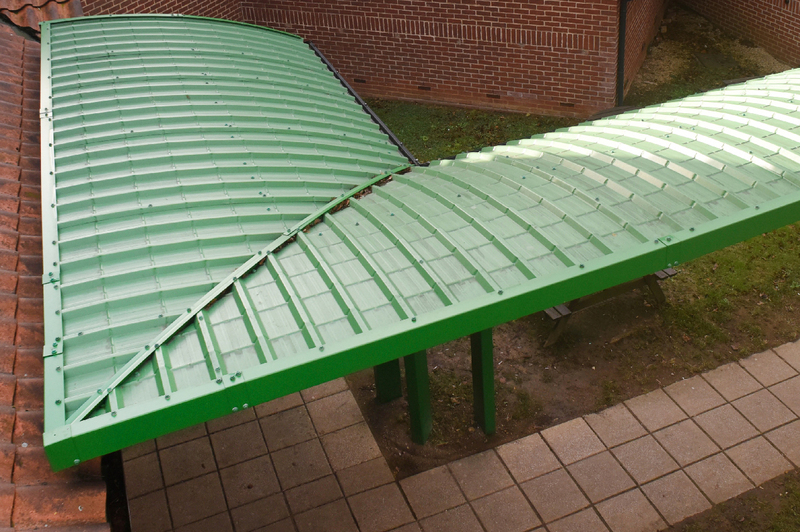 On site timescales were extremely tight and with the canopies having to be designed, manufactures and installed Broxap had to rework their normal production flows to accommodate R. G. Carters demand for delivery and installation on time; the alternative would have been for R. G. Carter to employ a steelwork fabricator to construct on site however they were adamant they would prefer Broxap to complete the whole project for them on time and to budget. 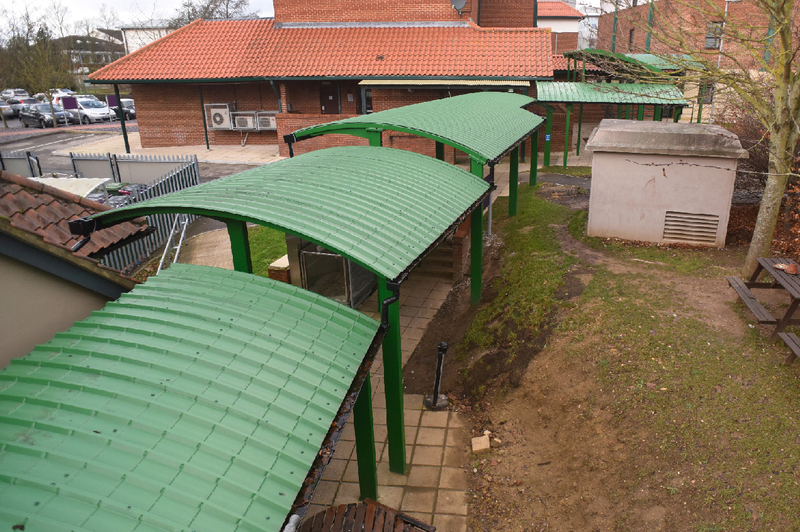 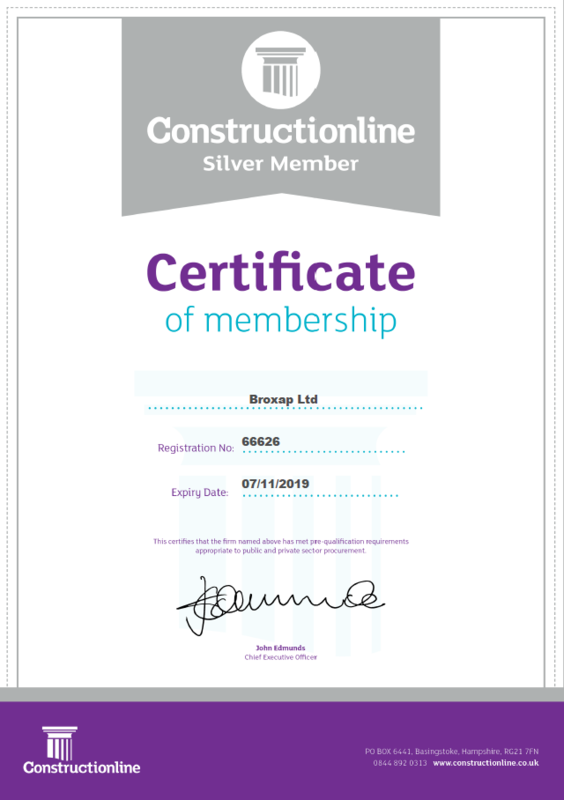 Broxap pooled their Department Heads, Production & Project Managers and along with company Directors formulated a work flow and plan that would reach the required date of install and completion of project. 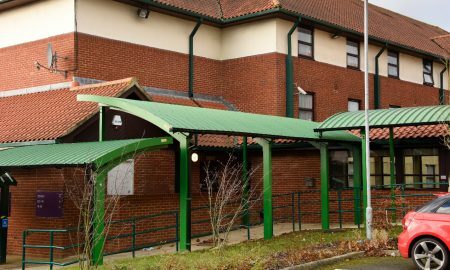 The entire project was designed, manufactured and installed on time and R. G. Carter along with the Hotel were extremely pleased with the whole look and finish of the project.